I guess I’ll call this posting “played twice” in honor of a composition by Thelonious Sphere Monk, the genius of musical cubism that danced and dwelled in its uncanny depths, which no one ever completely understood. But that didn’t matter. They understood more than enough, in the head and the heart. 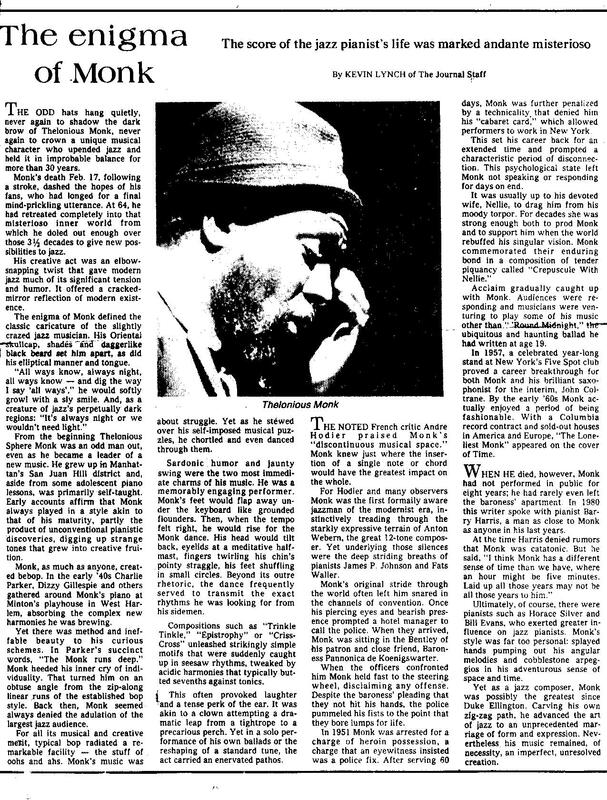 I realize my “played twice” is a recycled obituary column, but today, February 17, is the anniversary of Monk’s death in 1982. I wrote this for The Milwaukee Journal at the time, and as a fairly immediate response to the news of his death, so it has that emotional authenticity. Quite a few people liked this piece and I think it still holds up. Thanks to pianist and composer Frank Stemper for reminding me of the occasion. For some reason, my blog editing is not allowing me to enlarge this scanned text. My apologies. If you can do so on your computer please do. PLEASE NOTE: Readers with tablets ought to be able to expand the text of this obit to read it easily. For example, a Kindle Fire HD does the job well. 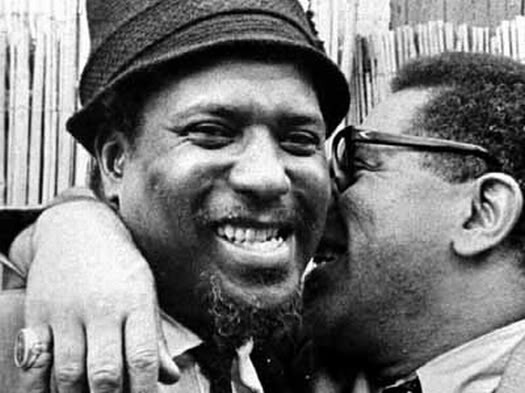 *check out “Played Twice” on 5 by Monk by 5 on Original Jazz Classics from 1959. R.I.P. Thelonious. Your spirit lives on amongst us.